There are 12 million residents in Moscow, and there are only 300 penthouses for all of them. There are decent options with cozy terraces and pleasant views among them as well as those that are not worth of attention at all. Some owners cannot sell their overpriced penthouses for decades. The choice and purchase of the first penthouse in life is a big and exciting deal. We have developed an instruction considering three important aspects which are worth paying attention to. Sixty residential complexes are being built within the Third Ring Road in Moscow in 2017. Most of these modern buildings accommodate penthouses with terraces and wood-burning fireplaces on the upper floors. Buying a penthouse in a new building allows earning on an increase in the price per square meter. When a residential complex is fully built and delivered, the price of your penthouse will rise by 20-30%, compared to its price at the stage of construction. New buildings are equipped with modern engineering systems. The halls have expensive interior design, and the courtyards are located on a compound territory. Inside the complex, residents are provided with private fitness facilities, cinemas, bakeries, laundries and concierge service. The option in a building under construction will suit you if you are willing to wait. On average, a developer builds such a new building within 2 years. The construction period depends on the number of queues and number of levels in an object. After the delivery of a building, it will take one more year to perform interior design in the penthouse, order and arrange furniture. If you want to celebrate a moving-in a year quicker and do not like the stage of interior decorating, choose a penthouse in the complexes with already completed interior design. In Moscow, 7-10 of such buildings are being built. You will find high-quality oak floors, plastered walls and finished ceiling in such a penthouse. You can immediately put up wallpaper or paint the walls in accordance with the design project. All communications and wiring will be supplied. This allows skipping all the dirty interior design stages. A developer will install plumbing and finish your bathroom with marble or tiles. The kitchen will already be equipped with expensive household appliances and ready-built kitchen. If there is no time at all, then you can buy a penthouse with a completed interior design and even with furniture that the secondary market offers. In this case, it is optimal if your tastes coincide with the tastes of previous owners who have made interior design. Not all wealthy people have the sense of style. In the market you can find the options with violet wallpapers, green ceiling and golden columns in "Bulgarian carnival" style. When you buy a penthouse, you want everything to be according to your rules. When the question arises which area is better for living, the opinions of buyers can diverse. In March we sold a penthouse for 120 million rubles on Presnya. The client had the office of the company in the neighboring building, so the choice fell on this area as it was convenient. In late April, the client chose a penthouse in "Park Mira" residential complex as it has an excellent price at an early stage of construction. This factor determined the choice of the area as they needed only 25 million rubles for a great penthouse with a terrace. Some people like Khamovniki. Someone wants to live with a view of the river. There are customers who choose a certain area, because it is on the way to their country house. There are people who like apartments higher. There are fans of intimacy and privacy. There are cases when the location does not matter and vice versa - rigid rejection of a certain location. At the same time, each district has its own strengths and weaknesses. Price, traffic jams, public transport and subway, views from the windows, neighbors, taxes, parks, shops, bakeries, restaurants. 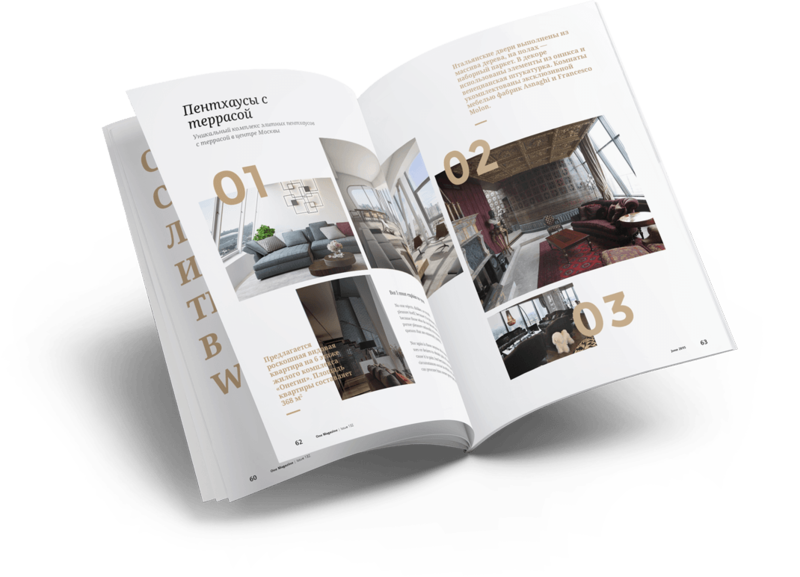 On kupipenthouse.ru website we collected penthouses from all central Moscow districts. Therefore, the question of where it is better to live can be answered after a short brainstorming together with the expert who will select 5-6 suitable options within 30 minutes and will appoint their previews. The price of a penthouse depends on four main factors: the floor of the complex, its location, the quality of interior design and views from the windows. The cost of one square meter in a penthouse is higher than in the same apartment on a floor below due to the fact that there is a terrace, you can equip a fireplace and have better views from the windows. You are the only one who lives on the top, and there is no heavy load, which provides freedom in planning the space. Buyers pay for privacy, because there is only the sky above. The most expensive penthouses are located in elite complexes. Usually these are small clubhouses for 30-40 apartments. Such buildings are mainly concentrated in Khamovniki in so-called Golden Mile area. Their height usually does not exceed 10 floors. Developers in such buildings evaluate the reputation of a buyer and may refuse selling an apartment, even if a person has money. Stop-factors include certain nationalities, occupation of a person. One unfortunate tenant can ruin the reputation of a project. Brokers have the story that in 2016 "Vesper" developer did not sell an apartment in one of its clubhouses to Filip Kirkorov. The cost per square meter in elite complexes is often more than 1 million rubles per square meter. Thus, a penthouse with the area of 250 m² will cost 250-300 million rubles. Slightly cheaper penthouses can be found in residential complexes of premium class. There is no such strict requirement to their location, but most are situated within the Third Ring Road. The premium class residential complexes may have buildings of 20-30 floors and higher. The number of flats or apartments reaches several hundreds. The buildings always have private courtyards, underground parking lots, fancy designed lobbies, concierge service. The cost per square meter in such buildings starts from 400 thousand rubles. Thus, a penthouse with the area of ​​250 m² will cost 100-150 million rubles. Worthy penthouses can also be found in business class buildings. In such a complex or even a whole block, hundreds or even thousands of flats or apartments can be located. The complex will be situated on its own compound territory free of cars, with its own underground parking and security system. There is a concierge service in some business class buildings. The cost per square meter in this class starts at 250 thousand rubles per square meter. Thus, a penthouse with the area of ​​250 m² will cost about 70 million rubles. The window views also cost money. A penthouse with a good view of the water, a panorama of the city or landmark places can cost more by 20-30% than the same apartment, but with the view of the courtyard. Finishing and interior design also add cost. Some penthouses are sold with furniture, which doesn't always cost adequate money. How does a penthouse expert work? The expert of kupipenthouse project will help you to choose the "hot ten" from hundreds of options within a day. He will coordinate the time and appoint a preview at each complex so that you can evaluate and walk around the object. For a day, taking into account the traveling time, you can comfortably visit 5 objects. You are not charged any commission. Our work is paid by a developer or current owner of a penthouse. We create convenient websites, make a complete analysis of the market, run advertising and bring them adequate clients. And we receive a reward for this. The price when buying with our assistance will be exactly the same as when you buy directly from a developer or an owner. We do not add extra charge, but due to sales volumes at the facility we often get an additional discount for you. Experts act in your interests and are traded as trained, dedicated dogs. If now you cannot get the needed amount of money out of business or your bank accounts, and you want to buy a penthouse, our mortgage broker will approve the mortgage for free. Other agencies say that penthouses are not bought for mortgage money. It is not true. They are bought for sure. Over the past two months, we have approved more than 300 million for just such customers. All the transactions received a rate of 10.4% to 11.5% per year. Getting a mortgage is more profitable than withdrawing money from a company's turnover. We teach our experts on penthouses not only know all the objects, climb on construction sites and constantly take exams. First of all, we teach them to be humans. Their task is to save a few weeks of your life and make the purchase of a penthouse a fun and enjoyable adventure. Dial kupipenthouse expert and get ready to move into your new apartment.